Bellingham may be shelved up in the upper-left corner of the country, but it’s anything but forgotten. Nestled on the beautiful namesake bay yet at the doorstep of the mountains, Bellingham has become the launching point for outdoor adventures of all kinds—from the renowned San Juan Islands to the wilderness of the North Cascades, and all the stashes in the between. It's hard to narrow it down, but we’ve put together a glimpse of what an ideal weekend might look like when journeying to Bellingham: from the “must-do’s” like Oyster Dome, to the local secrets like Clayton Beach, and of course where to grab a morning cup of coffee and an evening beer. However you choose to spend your weekend, there’s no doubt you’ll be graced with awe-inspiring views in all directions. Whether it’s the islands out west to sea, or Mount Baker poking its head above the range to the east, be sure to catch both the rise and set of the sun during your brief time in one of the country's most spectacular destinations. Bellingham being in the Pacific Northwest and all, coffee is one thing that is never under-appreciated. And there are more than a handful of Woods Coffees and Starbucks serving up steaming lattes throughout town. But, if you're looking for something with a little less corporate heart and soul, we recommend you pick something with a unique taste local to Bellingham. Avellino is a slow-moving espresso shop right in the middle of downtown, fantastic for a casual weekend morning. The coffee is some of the best in town, and the bakery is even better. The beans are locally roasted, and whether you like your “morning chemicals” (as Ed Abbey prefers to call coffee) black, or in an espresso, Avellino will start your day off right. Another great option is The Wailing Goat Espresso, a tiny house-like coffee window right along the South Bay Trail, where walkers, bikers, and runners frequently pass by as they head in or out of town. It’s perfectly situated for some caffeine on the go, with great smoothies to boot. In downtown Fairhaven, closer to the Chuckanuts, Tony’s Coffee is a coffee shop that's seemingly been around forever, faithfully serving bleary-eyed Bellingham residents for over 40 years. However, if a rocking breakfast is more your style, you’ll find your fill and much more at Homeskillet. Everything is cooked in a cast iron skillet, the breakfast joint is small, funky, and energetic, and you’re going to have to get there early. But when you need an early start to the day, Homeskillet is the place to have the best hearty breakfast in Bellingham to power you through the day. Bellingham’s backyard is literally a mini mountain range, and most trails either run through, under, or pop out above the green canopy that is the Chuckanuts. The select few below are all accessible within minutes of town as we cover all the regions of the Chuckanut Range. The most popular day hike in Bellingham, with undeniably good reason, is the serpentine route up the south side of Blanchard Mountain to Oyster Dome. Only twenty minutes from town, the three mile hike to this exposed cliff face is steep, but worth every step, as it unveils some of the best views in Bellingham. When you pop out on the rock face of the dome and pull out lunch (and maybe a beer or two) and soak up the sun as you gaze out over the bay, you'll start to appreciate just how magical this place really is. On clear days, you can even see the Olympic Mountain Range across the bay. Fragrance Lake is the best trail in the middle section of the Chuckanuts. 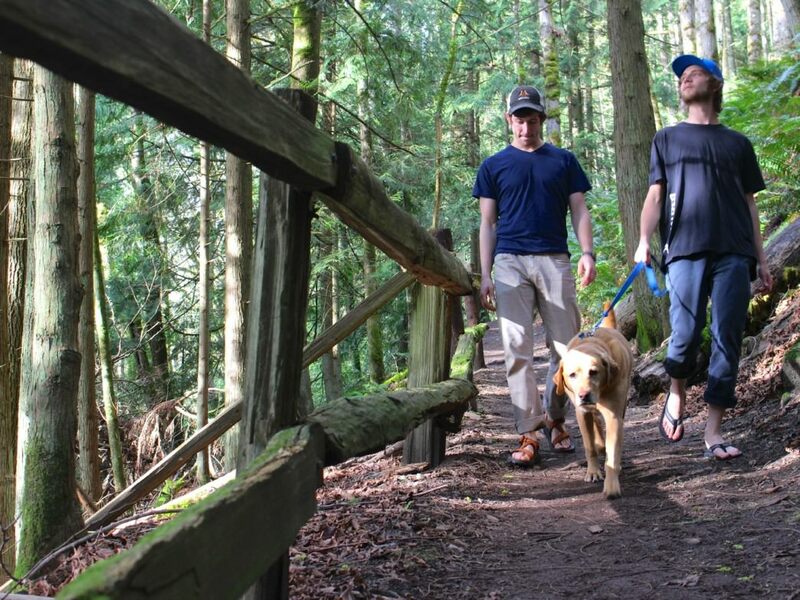 Like most Chuckanut trails, whether you’re hiking or running, you’re legs will feel it the next morning. The Chuckanuts typically have steep sections coming up from the coast, though they're short lived for the most part and the views are gorgeous, so it’s always worth it. Fragrance Lake winds through the giant timbers and pops out on a small mountain lake after 3 miles. Take a detour to check out the viewpoint on the way down, about a mile before getting back to the trailhead. Raptor Ridge offers the best view from the north side of the Chuckanuts. Most of the trail is on the Hemlock hike for a little over three miles up, and even though the actual Raptor Ridge Trail isn’t long, it’s stunning—offering exposed vistas high above the hills. Pine and Cedar Lakes are another great option in the area, and they're usually less-trafficked than the rest, even though it is only 2.5 miles from trailhead to lake. The climbing scene in Bellingham is creative. The amount of dedicated climbers who choose to live in this moderate (okay, highly) wet climate is astounding—and a testament to the natural beauty of the crags and imaginative projects the climbers create—especially when the world famous Squamish is just over the Canadian border, and Leavenworth and Vantage are a day trip away in Washington. But Clayton Beach and Mount Erie are the best crags local to Bellingham. Bouldering at Clayton Beach is charmingly peaceful. The honeycomb sandstone rock creates unique and interesting problems, overhanging above the sand. The beach is quiet, despite it being arguably the best place to catch a sunset. There are many established routes to explore along the beach, but also many opportunities to get creative. You can even get lucky and find some fun, shallow water overhangs. It’s best to boulder here when the tide is low, as you’ll have access to more problems, though there’s enough to find at any time of the day. The best thing about Clayton Beach? It’s a short walk away from the Larrabee State Park Campground. Head over to Clayton Beach for a sunset with a crash pad, picnic, six pack, and some good friends, and boulder into the night. Then have a bonfire on the beach and sleep under thousands of Pacific Northwestern stars. The local sport climbing can be found a short drive south at Mt. Erie in Anacortes. The routes are typically anywhere between 5.5 to 5.13, so this is a perfect for climbers of all levels. 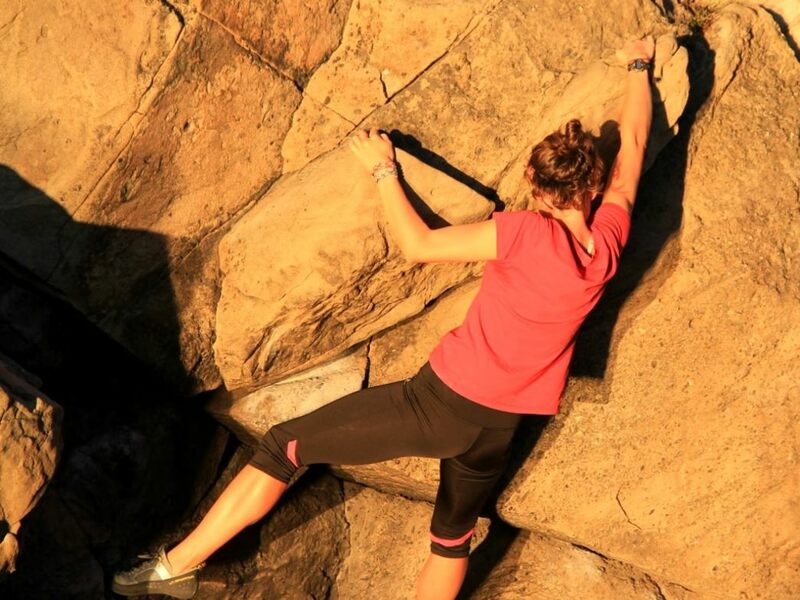 Come teach a beginner the belay basics, or enjoy the breathtaking views as you push yourself on the rock: you can spot the San Juan Islands, the Olympics, and the Cascades all from Erie. Though the rain can be prevalent, you can climb Mt. Erie year round if you have enough time between the winter rains, and the approach is never more than thirty minutes. Bellingham finds itself in a unique spot, with easy access to every type of paddling opportunity. Whether you’re looking to hit the whitewater scene, get out and explore the coastal waters, or stand up paddle around the flat lakes, this town has it all. If there’s anyone who would enjoy the low snow pack this winter in the mountains around Bellingham, it’s probably the whitewater kayakers. Spring paddling is looking better than ever. The two main rivers paddled from Bellingham are the middle fork of the Nooksack River as well as the Skagit River. The middle fork of the Nooksack is a continuous run, a solid class III through the heart of a bedrock canyon. It’s perfect for ambitious beginners and intermediate paddlers, and advanced kayakers enjoy it for the stunning beauty, high quality waters, and the optional class IV boulder-garden style rapids just above the put-in. The Skagit is a mellower run—a combination of easy class II paddling with fun class III rapids at the end. It is one of the few dam-controlled rivers in the state, meaning from the cold winter months to the late summer season, the Skagit always has plenty of water. The coastal paddling in the Bellingham Bay is well known for being the finishing leg in the famous Ski to Sea Race. Multiple put-ins in both Fairhaven and downtown make access easy, and the bay has plenty to explore. Paddle south and check out the sandstone cliffs along the coast, and even further out to small islands. 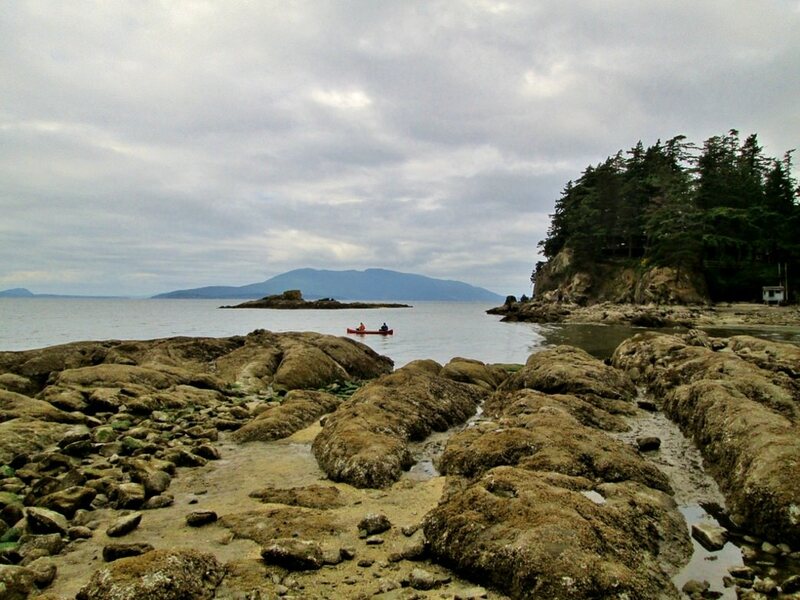 Chuckanut Island is the largest of the little group, and is a great spot for a lunch break. Or, paddle out across the bay to Lummi Island and explore the kayak-access-only campground. Lummi is the most popular paddle in the area, and the best option for overnight fun. Stand up paddleboarding is best on Lake Padden. The water is calm and serene, and not a busy motor-boat attraction like most lakes. There is plenty of grass to lay out and catch some sun after your workout, and even a small beach and swimming area. Lake Whatcom and Lake Samish are two other options, though they are bigger and tend to attract a bit more motorized action. 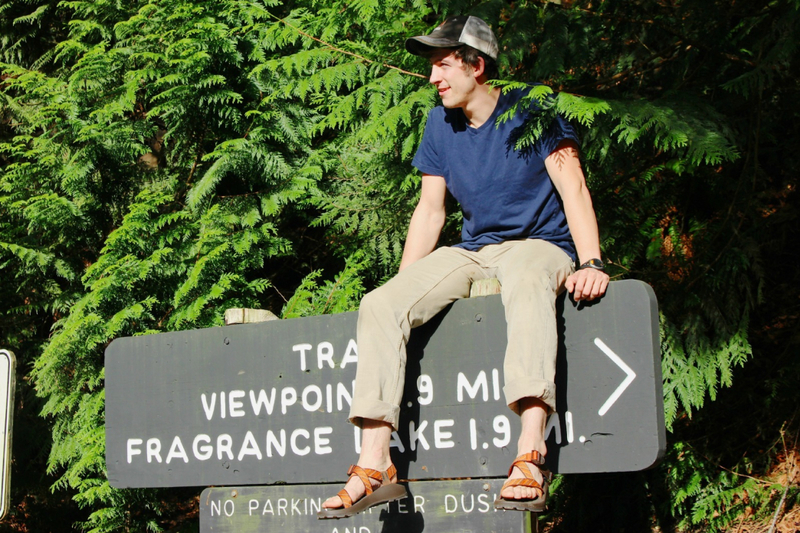 If there’s only one thing you need to know about Bellingham before exploring its outdoor wonders, it’s this: Bellingham is the kind of town where you can show up to grab dinner and a beer sweaty, un-showered, and covered in mud from a day among the hills, in the water, or on the rocks. In fact, you might even make more friends this way. Because breweries might be the one thing Bellingham loves as much as the trails. Kulshan Brewery and Boundary Bay Brewery are the two mainstays of the town. Boundary Bay (conveniently right downtown) is a staple to the Bellingham diet, and their beer is like the friend you can always rely on to give you a ride to the airport, or help you move. They keep a handful of beers on permanent tap, including the IPA, Scotch Ale, and Oatmeal Stout, and have a satisfying collection of seasonal beers rotating through. The food, though maybe a bit pricey, is just as dependable, and when the beer garden is open, all is good in Bellingham. 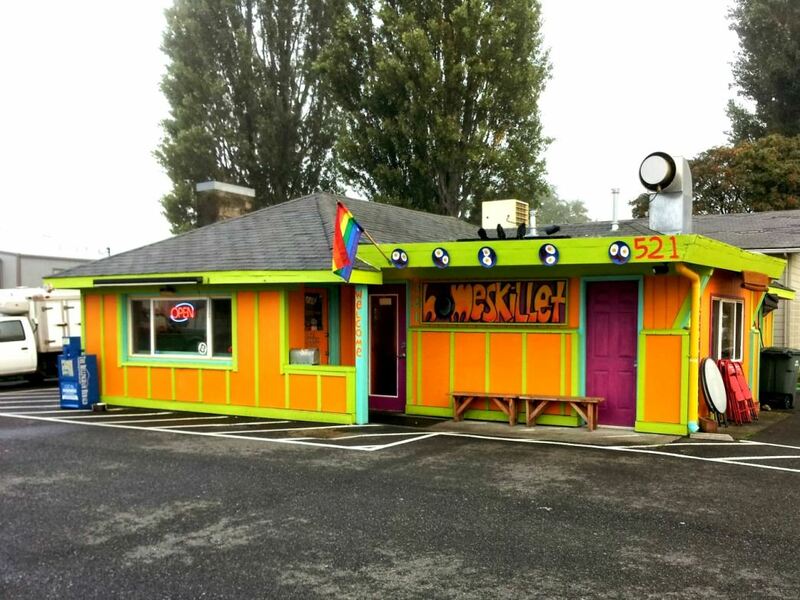 Kulshan beer is similarly loved among locals, and what it lacks in food (it has no in-house kitchen), it makes up for with food carts and a conveniently located fruit stand across the street. The picnic table setting outside is great for larger parties that drink by the pitcher! Also downtown, Aslan Brewing Company is no longer the new kid on the block. 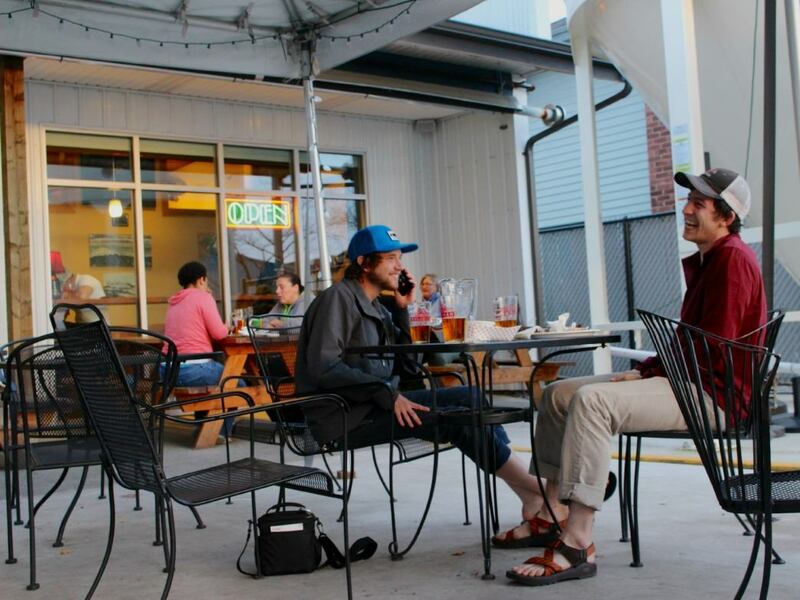 Typically a younger crowd, the organic microbrewery brings a new-age vibe to the hip, outdoor atmosphere of Bellingham. The beer and food are great, so it’s easy to rack up a large tab with their prices. If you’re just looking for a greasy, cheap, quick burrito, Casa Que Pasa is your place. Whether between adventures or done for the night, swing downtown and refuel with a jumbo potato burrito—be sure to ask for extra sauce! Camping in Bellingham, like the climbing, is creative. There’s only one quality option for car camping, yet plenty of small backpacking options for camping—so it all depends on your capacity and intentions for the day! 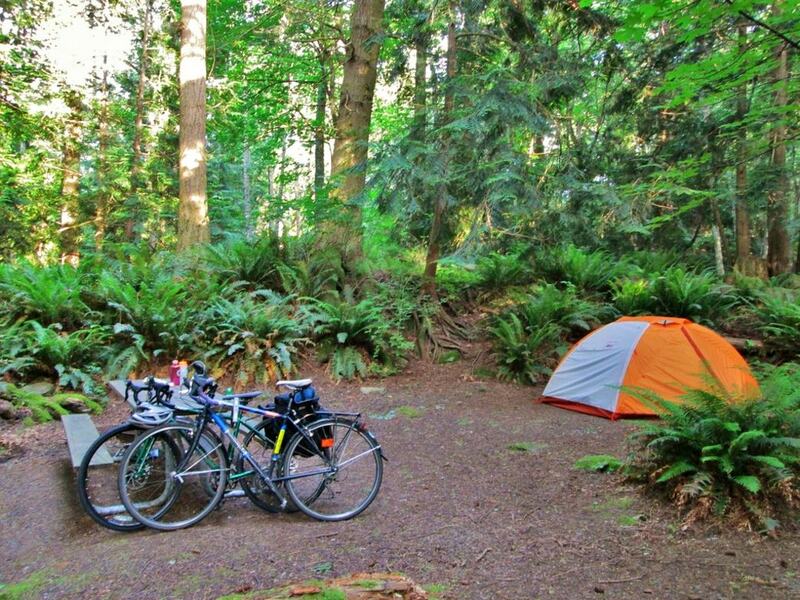 Larrabee State Park was Washington’s first state park, and is the best car camping option in Bellingham. It’s a few minutes south of the Fairhaven Historic Distric of Bellingham, so the grocery store, gas, and necessities are never far. 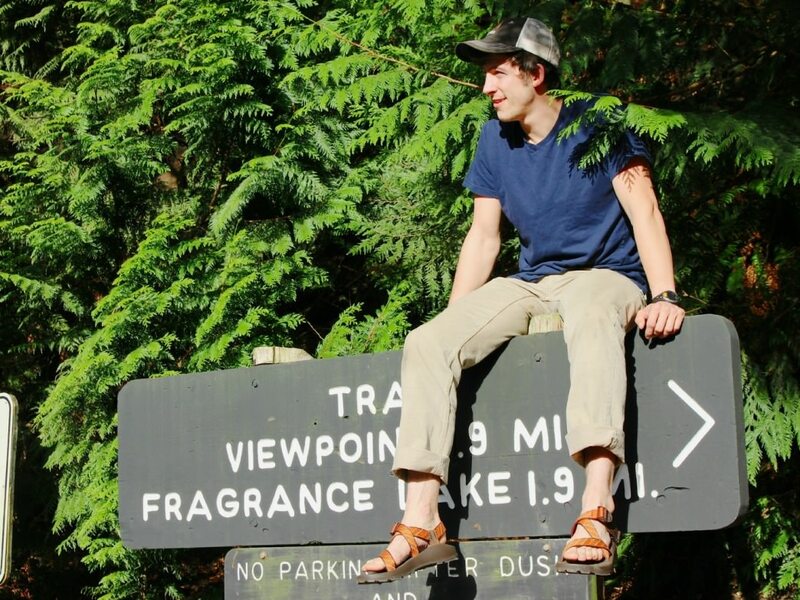 The campsites are friendly and conveniently located—it’s a short walk to Clayton Beach, and the Fragrance Lake Trailhead is right across the street. There are about 50 tent sites to pull into, and there are six showers. One downside, however: there is a train track that runs along the beach, which can occasionally be noisy. The beauty of the park is overwhelming, though, and there are no better spots to catch a sunset than down at the edge on the water. For the campers with a bit more time on their hands, there are two excellent campsites in the Chuckanuts that require a short backpack in. Pine and Cedar Lakes on the north side have about five established campsites, and it is rare to find more than one or two of those spots full. A quiet and short getaway. On the south side of the Chuckanuts, Lizard and Lilly have a handful of campsites spread between the two of them. It takes a few hours to hike up to them, but here’s the best part: they’re on the back side of Oyster Dome. The best views of the bay are only a short hike to the other side, and you’ve already gained most of your needed vertical. Oyster Dome can get a bit crowded in the middle of the day but if you have the luxury of sleeping on the mountain, you can wake up early or stay late and bring your camping stove over to the rock face and cook dinner on top of Oyster Dome: not many people get that opportunity. Warning! With so many options for adventure at your fingertips in Bellingham, it's quite possible that you'll never leave.